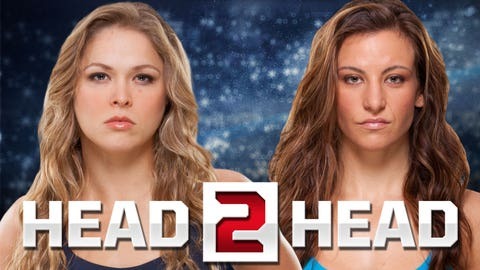 Ronda Rousey and Miesha Tate finally get their rematch at UFC 168. At this point Ronda Rousey is such a prohibitive favorite that until she loses, she will monstrous odds in her favor. At UFC 168, Rousey was installed as near a 10-to-1 favorite. That seems a bit over the top, but then again, no one has been able to get out of the first round against her. Can Tate threaten her the second time around? At least she knows what she’s getting herself into, and that experience has to be seen as one of few positives in her favor. Click HERE to open image in a new window.